To date Lego has not produced any Hunger Games themed building sets and this far into the three book or four movie franchise, it seems unlikely that they will. Given that I have some knowledge of the Lego world it was with only a little bit of surprise that I discovered a few interesting pieces of Hunger Games themed Lego online. These figures are custom built by private Lego sellers and perfect if you really just want a Lego themed minifigure or memento of the Hunger Games. 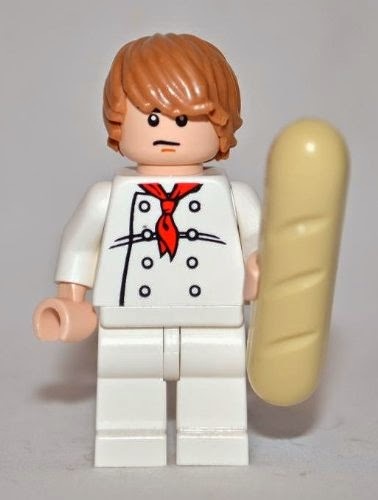 I think this minifig of Peeta, the baker's boy, is a particularly good rendition of the Hunger Games character. Don't you? You can find all of the Hunger Game themed Lego on Amazon by clicking here, or you can check on eBay by clicking here. The Hunger Games Lego on Amazon. The Hunger Games Lego on eBay. Vote here on whether or not you think Lego should create The Hunger Games sets.